It’s a relief to know there are still enough people reading fiction to support trends such as the Roberto Bolaño craze of the past few years. The great Viscerealist, may he rest in peace, took the English-language literary scene by storm first with small volumes such as By Night in Chile, then with the landmark volumes The Savage Detectives and2666. Now New Directions, always a patron saint of masters on the verge of obscurity, is fleshing out translations of the bulk of his catalog. 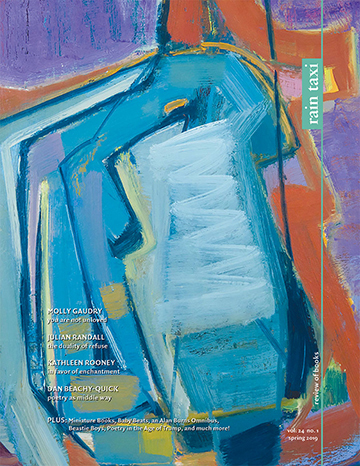 Regardless of whether or not you’ve tackled the major works, the fifty-six short chapters which compose Antwerp are crucial to an understanding of the Latin sensation, while at the same time finding the writer working in a mode unique not only in his corpus but in contemporary fiction in general. It’s debatable whether or not Antwerp is actually a novel, but if we admit it to the category, it is Bolaño’s first, marking a crucial turning point in his career from poetry to prose. As his lasting importance is undoubtedly as a novelist, Antwerp serves not only as an example of early style but as a sort of road map. Bolaño was thematically consistent and the central concerns of 2666’s 912 pages are here in 96. Though Bolaño claimed that he should have been a homicide detective, his descriptive precision and sense of aesthetic drama betray the faculties of a filmmaker. The poet Bolaño is still close to the surface here. He’s years of desk time away from the narrative lucidity and focus of 2666. He actually appears willfully unconcerned with narrative, as least in the traditional sense. Rather, we have the juxtaposition of images that are so powerful they manage to create their own interstitial logic. The noir archetype is strong in Antwerp, but it’s a noir tinged with an irrationality you’d never find in Raymond Chandler or James Ellroy, let alone in Jules Dassin or Billy Wilder (though you might find it in Bolaño peers such as Paul Auster or Haruki Murakami). Waiters walk along a deserted beach, uncanny scenes unfold deep in the woods, people get on and off highways, go in and out of rooms. 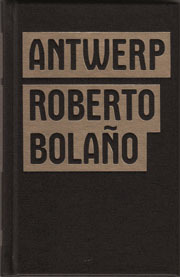 Bolaño said Antwerp was the only novel he felt proud to have written. Was he joking? If not, why did he wait over a decade to release it? One obvious answer: nobody would have published it. Antwerp is a bit like a celebrity gossip magazine. Nobody would care about these pained paragraphs if Bolaño had never taken up subjects like Mexico City in 1968 or the Juárez murders. But sometimes the works that seem most minor, most flawed, can reveal a writer’s message just as compellingly as a masterpiece.